You might not know that I am crazy obsessed with my edible gardening and creating a lasting homestead for my family. Of course we buy very little produce throughout the summer because of this and what we don't eat I either freeze or can. As a Restaurant Manager, Foodie Blogger, and Green Living/Gardening Enthusiast, I feel like I know a lot of recipes using ingredients from the garden. However, I am always looking for new recipes for my family, new foods to can, and how to do so safer and better than each last batch. 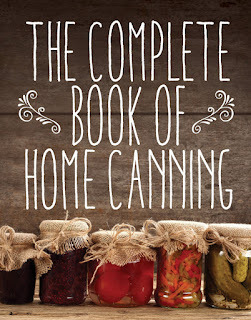 Recently, I was asked to review a few of the new books from Skyhorse Publishing and I immediately knew one of those had to be The Complete Book of Home Canning. The synopsis says, "Home canning has changed greatly in the 180 years since it was introduced as a way to preserve food. Scientists have found ways to produce safer, higher quality products. The Complete Book of Home Canning is a comprehensive guide to canning put out by the United States Department of Agriculture." 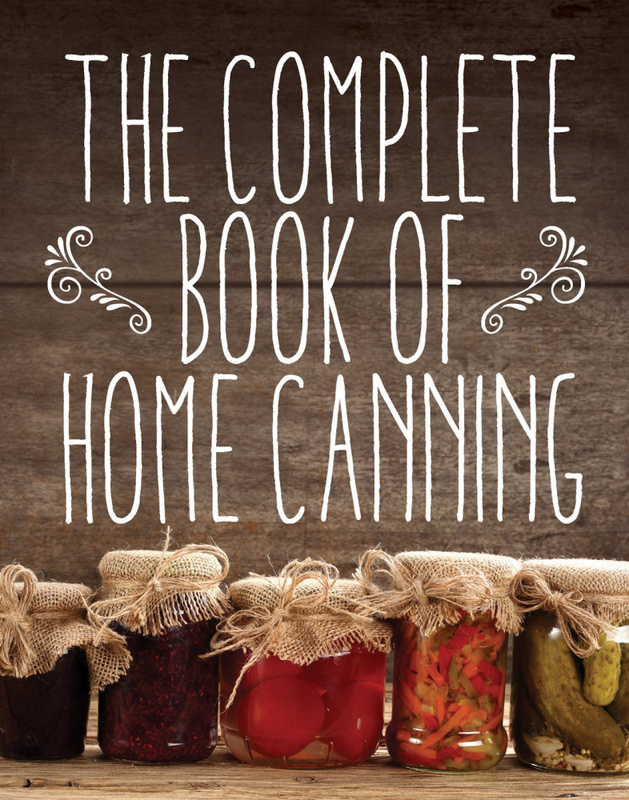 "The Complete Book of Home Canning an invaluable resource book for persons who are canning food for the first time. Experienced canners will find updated information to help them improve their canning practices. This latest Skyhorse Publishing edition features practical full-color illustrations as well has full-color photos showing the ingredients and techniques described." I love that there aren't just recipes in this cook book but "extras" galore. This isn't your average cookbook as it looks more like a huge manual than anything to me. This canning cookbook is now going to be my bible from here on out. As a homesteader who has canned for at least 5 years now, there are tons of new recipes, equipment, and guidelines to follow in this book. I truly cannot believe how in depth this guide is and especially wish I had had this as a beginner! Recommendation: I love not only how easy these recipes are to follow but guidelines to make sure I am creating healthy meals for my family all in one place. The cost is even cheaper than buying a special edition magazine with an 1/8 of the info. This is one of those all in one resources that is a must in any canners kitchen. I remember watching my Grandmothers, aunts, etc., can when I was a child. I've been thinking that I'd really like to start canning myself. This book might be pretty handy.